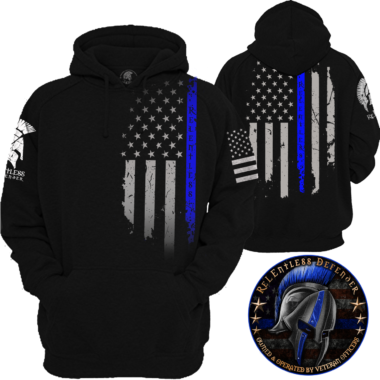 ReLEntless Defender carries high-quality law enforcement hoodies in a variety of ‘soft ink’ printed styles. 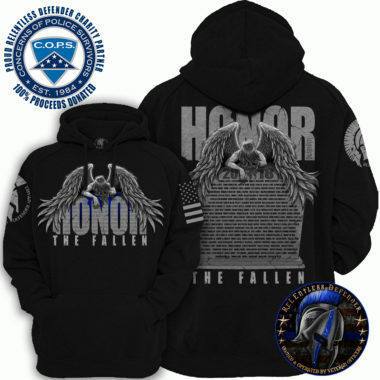 The ReLEntless Oath police flag hoodie features the American flag with a unique ReLEntless twist. 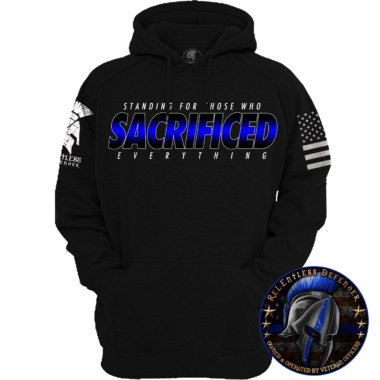 Help us support the men and women who selflessly strive to protect our communities nationwide. 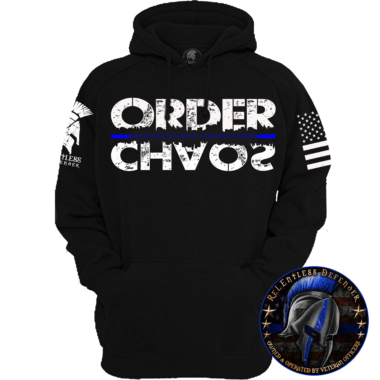 Our selection of police hooded sweatshirts and law enforcement hoodies includes a variety of colors and sizes. 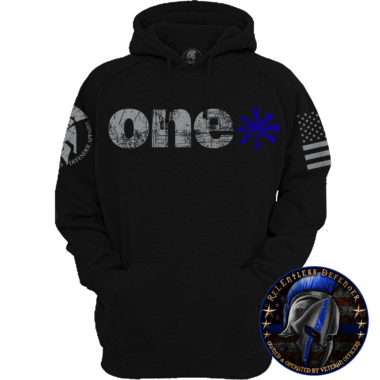 Our police flag hoodie displays the Thin Blue Line American flag motif, which emphasizes the border between order and anarchy that our police officers constantly patrol. 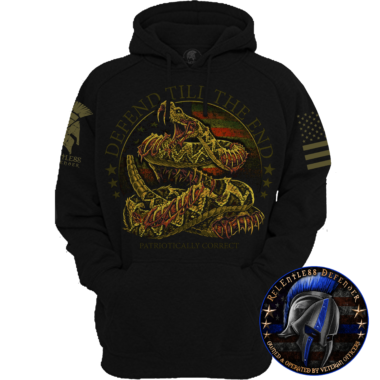 Shop our selection of men’s ReLEntless hoodies to support our nation’s law enforcement wherever you go.